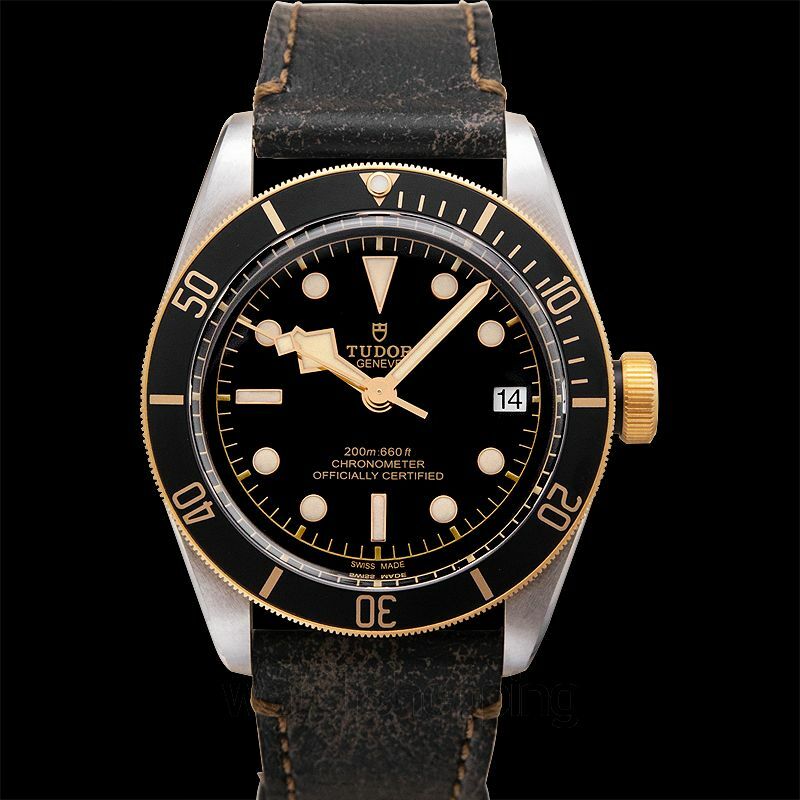 The Tudor 79733n-0001 is a Heritage black bay category men's watch. 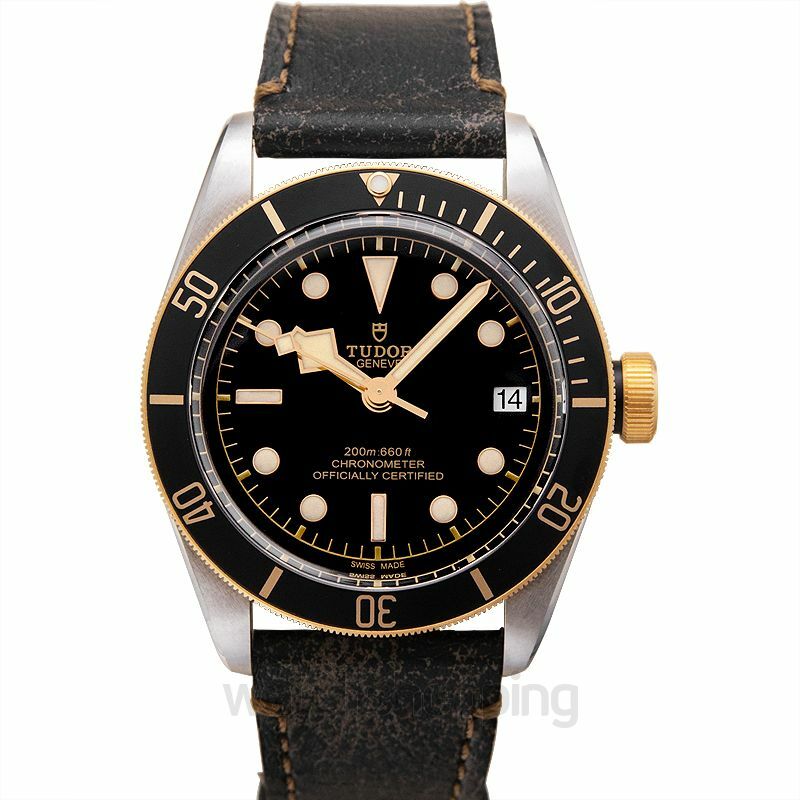 It come with a black dial that features minute stick/dot time indexes that circle the rim in gold-tone. The minute hands are made in the same tone as well. 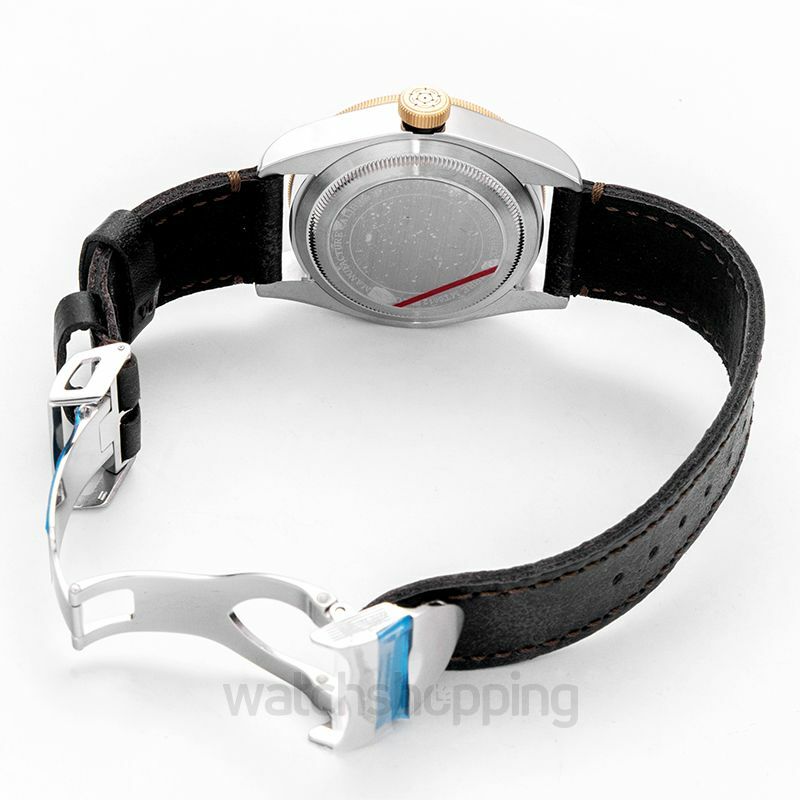 The dial features a date section, evenly placed near the 3'o'clock position too. This timepiece is encased in stainless steel that guarantees a strong framework with perfect finish. 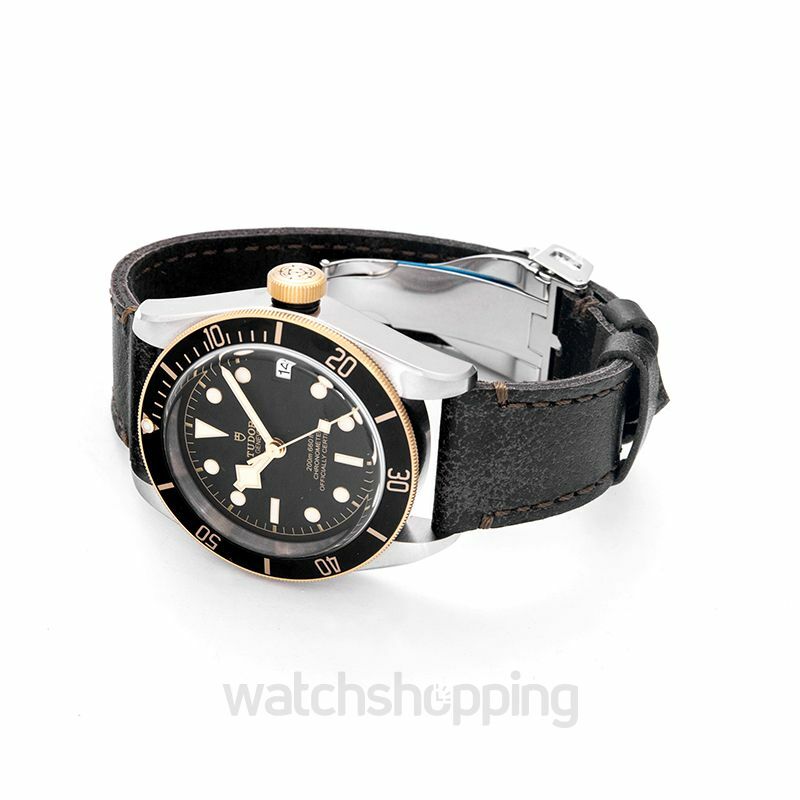 The caliber of this watch is automatic and the reserve lasts up to 70 hours in total.